John Ford Reports On This Year's Annual Conference. Duxford Celebrates The 60Th Anniversary Of The Spitfire. Clive Wikinson Report And Photographs. 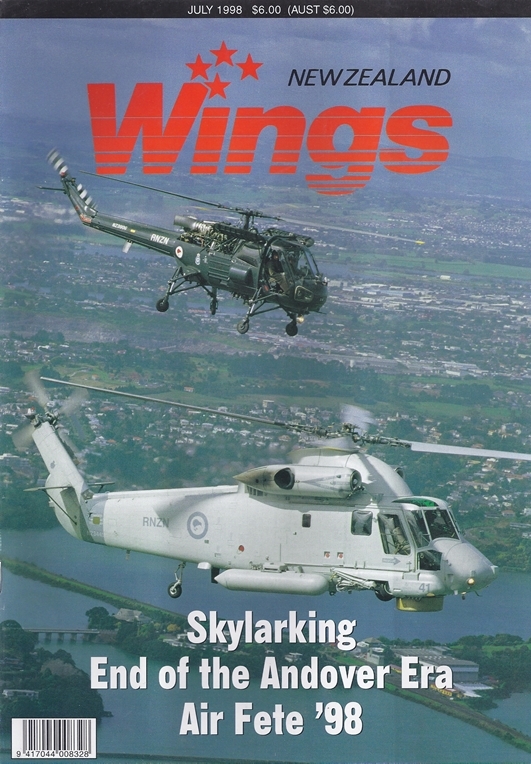 The RNZn Swaps The PaRAFin Pigeon For The Kaman Seasprite. Peter Clark Story. Brett Emeny's Classic Swiss Vampire. Story By Callum Macpherson, Photographs By John Ford. Cartoonist John Ewing Takes A Light-Hearted Look At Stalling An Aircraft For The First Time. New Zealand Corsair Pilot S/Lt (A) Bob Metcalf Tells Of His Time With The Fleet Air Arm.